kim beller designs: nurture you own soul…make something meaningful. nurture your own soul. for me, this means i have to do what makes me happy. to live the life i want to live. to raise my children the way i want to raise them…and so on. there are so many options in this world we live in, and we each have to choose what works for us. thankfully, we are all individuals, so we don't really need to worry what the next person is doing…we don't have to talk about it, complain about it, dwell on it. we only need to focus on ourselves and what works for our circumstances. in my life, it's my sweet family and friends, togetherness, making art, learning new things, being in nature, and making memories every single day. 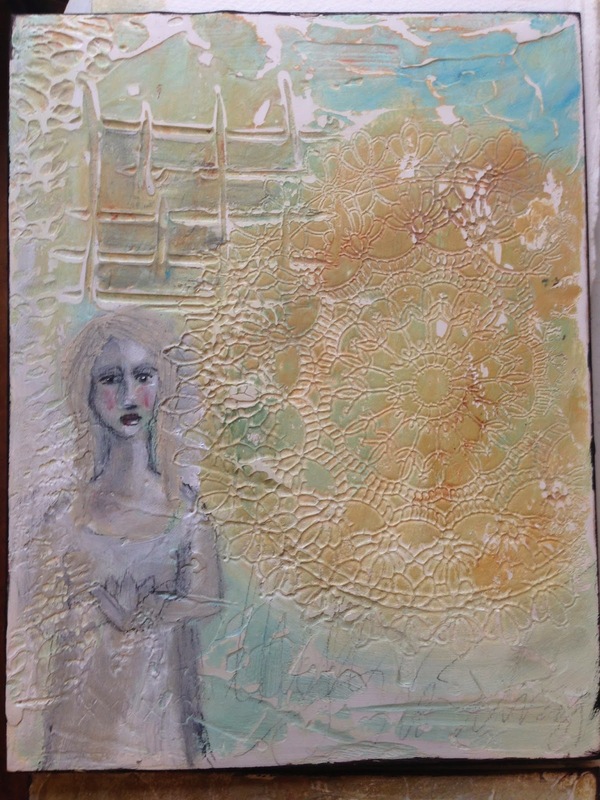 an upcoming workshop at the Cameron Art Museum , May 3rd and 4th weekend…. 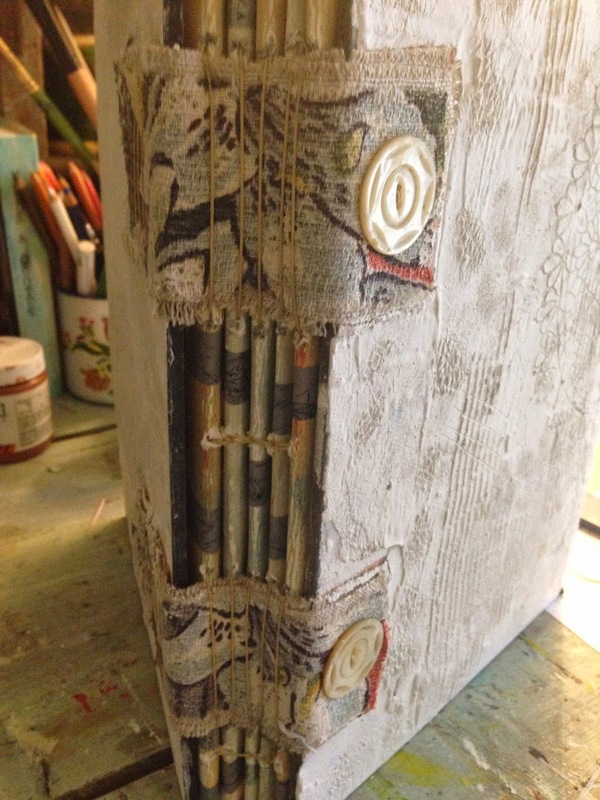 i will be teaching a collaborative workshop with my friend melissa manley where we will show you how to make a beautiful plaster covered heirloom book. 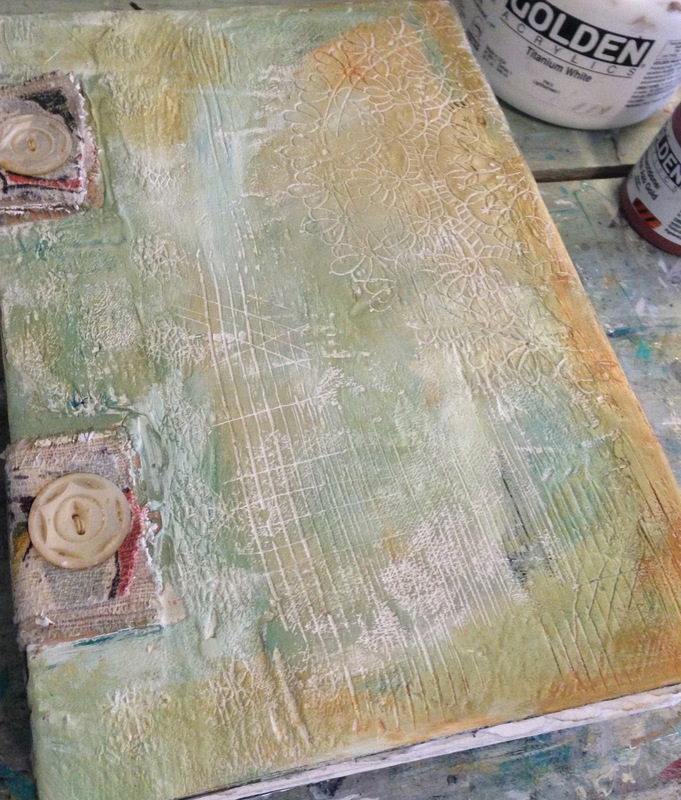 filled with luscious fabriano artistico watercolor paper with plaster covered wood substrates for the covers, we will spend the weekend creating and filling these pages with learned journaling and collage techniques. if you are looking for a great way to spend the weekend, creating a beautiful, tactile heirloom, this class is for you. this is melissa's sample book for the class. i LOVE how she stitched the linen straps onto the cover. so cool! 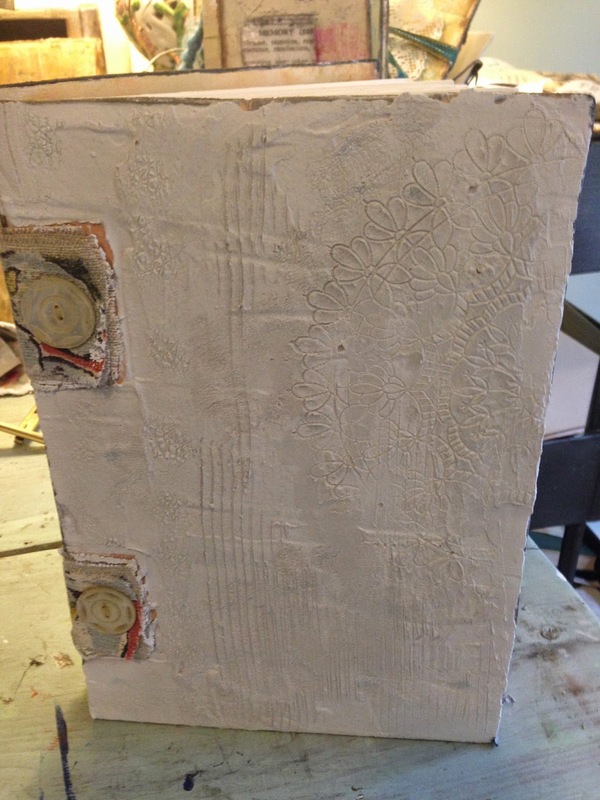 hopefully you can see all the texture she added to the plaster cover. we were working on a damp afternoon, so the plaster wasn't quite dry enough to embellish with paints. my cover for the class sample. i used another piece of fabric over the linen and added buttons to mine. we will go over many options in the class and will also have scraps of fabrics to embellish with. a few more images of the unpainted plaster book. next step is to paint and embellish. i will post more photos once i have added more to it. 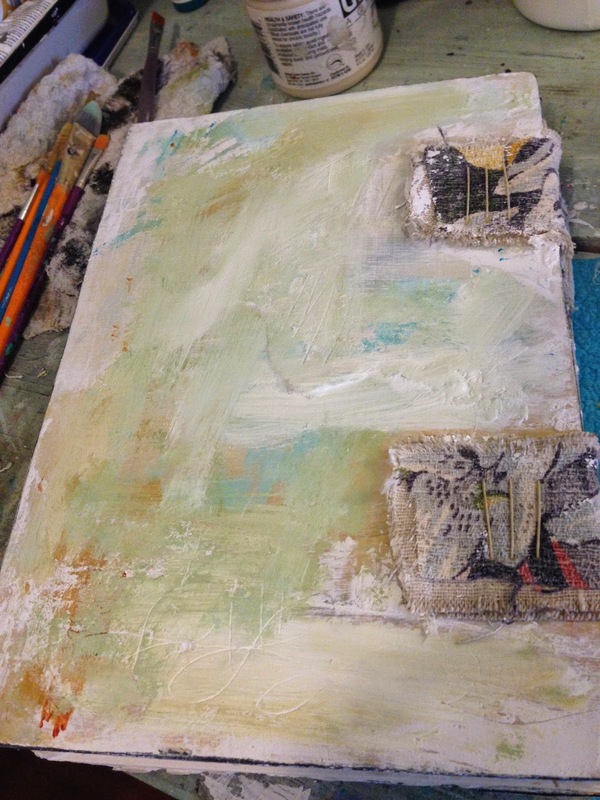 bookmaking is one of my favorite things…and when you add plaster to the mix, it just gets better !! 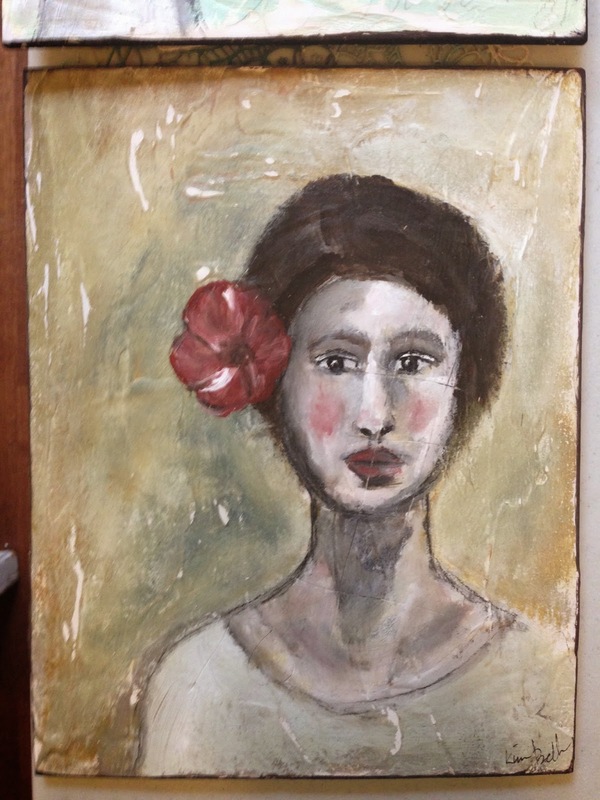 i am so lucky that i get to hang out with my friend judy wise and paint with her and jenny wentworth. i will share some photos from our journey when we return…AND i am finally getting my honeybees! i will start with two hives. growing up, i was blessed to have papa emerson the beekeeper show me the beauty of bees. i have had an appreciation since i was a young girl and love the idea of honoring him by keeping bees. I can't wait to make a book like this! So beautiful and textural. Just my kind of thing!